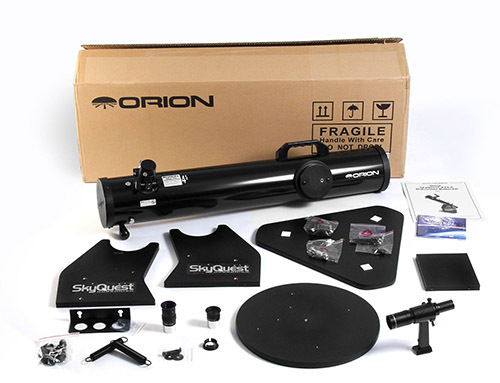 The Orion SkyQuest XT4.5 Dobsonian allows beginners with a curiosity for the night sky to explore space on a moments notice. 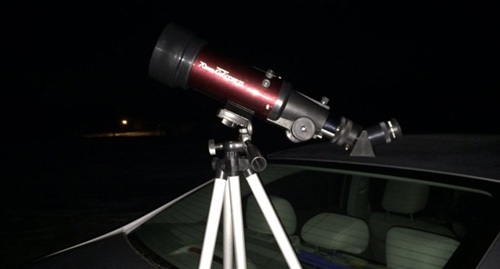 Stargazing is eazy and enjoyable for the whole family thanks to the Dobsonian design. This reflector telescope is extremely portable, so stargazing will become a regular outdoor activity at home or the cottage. The innovative design of this telescope make it a "point-and view" instrument, perfect for wandering around the stars. This user-friendly design is a great way to find Messier objects and learn the location of many deep-sky objects on your own. Use the included 6 x 26 correct-image finder scope to locate objects in space, and then peer through the included eyepieces for a deeper look. Intermediate telescope users will find the high quality construction and handy accessories are welcome change from the old department store telescopes of years passed. The handy navigation knob, CorrecTension spring system, and rack-and-pinion focuser are built to last through a lifetime of night sky observations. 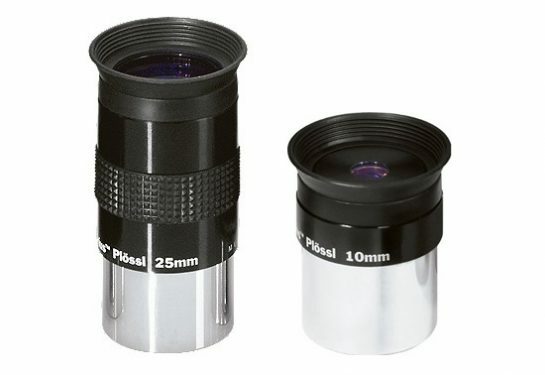 Add more eyepieces to your astronomy gear over time. 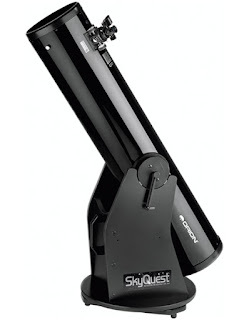 The SkyQuest XT4.5 Dobsonian accepts all 1.25" telescope eyepieces. The Orion SkyQuest XT4.5 Classic Dobsonian's tube assembly features a 4.5" mirror with enough light-gathering power to put on a real show. This 114mm spherical primary mirror soaks in over 200% more starlight than the lens of a 60mm refractor. This light gathering ability means that you can see more celestial objects in the night sky, and in greater detail! 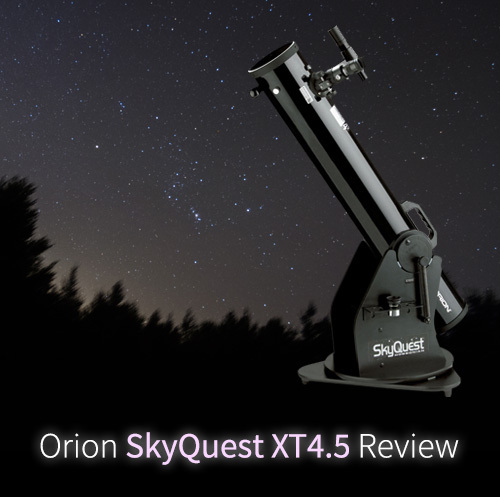 This means views of nebulae and galaxies are possible with the Orion Skyquest XT4.5. You will never forget your first look at the Andromeda galaxy, I promse you that! This telescope is perfect for surveying the Moon's craters and valleys. Watch the different lunar features present themselves through each phase night after night. The SkyQuest also excels at well-defined views of the planets in our solar system including the cloud bands of Jupiter, and it's nnearby Galilean moons. 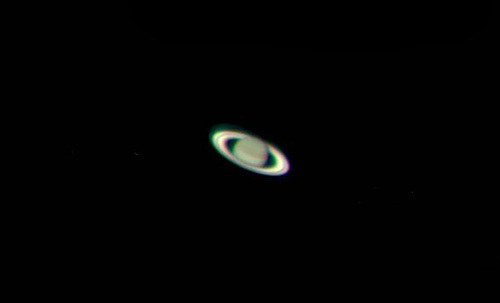 If you really want to impress the neaighbours, move the scope towards the dazzling planet Saturn. One look at Saturn's rings through the Orion SkyQuest4.5XT will change the way you look at our planet! Experience the humbling feeling of the realization of how small and fragile our planet really is. 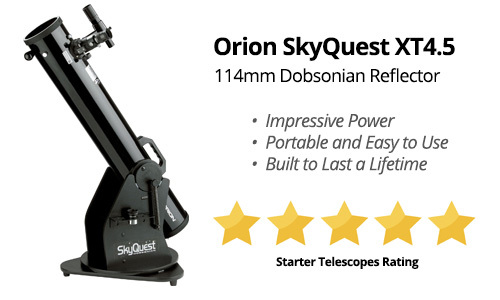 The design of the Orion SkyQuest XT4.5 Classic Dobsonian telescope was built with ease-of-use in mind. The Dobsonian reflector design is extremely popular in all sizes, for good reason. 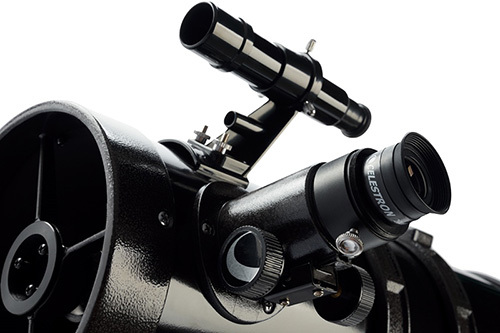 It is arguably the most user friendly style of telescope, thanks to it's versatility. Moving the telescope up and down, and side to side is comfortable and easy. Young children and older observers will have no trouble with this telescope. You do not have to worry about lock knobs or adjusting the telescope balance at all. 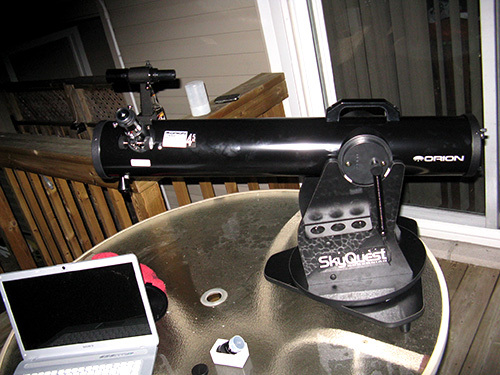 The sturdy base provided with the Orion SkyQuest handles the weight of the reflector optical tube and finderscope. The base includes Nylon bearing pads to make sure that the telescope glides smoothly during use. The base itself is extremely stable, much more so than a traditional tripod. 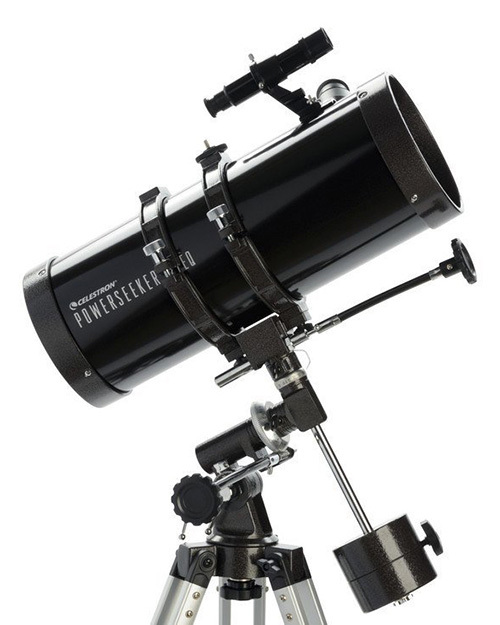 The best part about the SkyQuest XT4.5 Classic Dobsonian model is that it is the smallest version in the series, which makes it easy to carry and travel with. You'll never go camping without it! 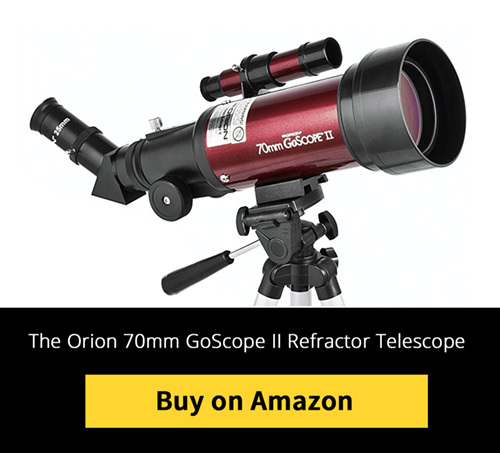 What's Included with the Telescope? The Orion Skyquest XT4.5 Classic Dobsonian telescope is a very capable telescope for beginners and intermediates alike. 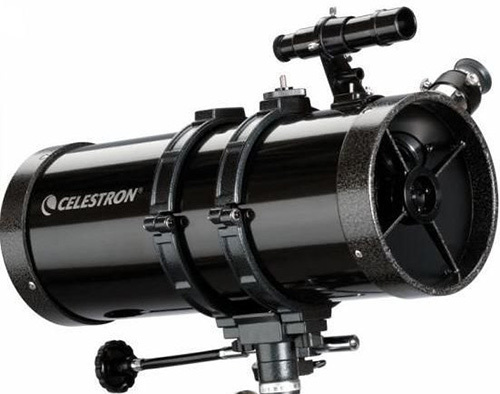 Amateur astronomers agree that this is one of the best possible "first telescopes" one can own. With a large 114mm reflector mirror capable of providing views of the solar system and deep-sky objects, the Orion SkyQuest will bring the "wow-factor" to any backyard. The portable size and versatility of the XT4.5 make observing the night sky a hassle-free experience, which is important for beginners learning the night sky. 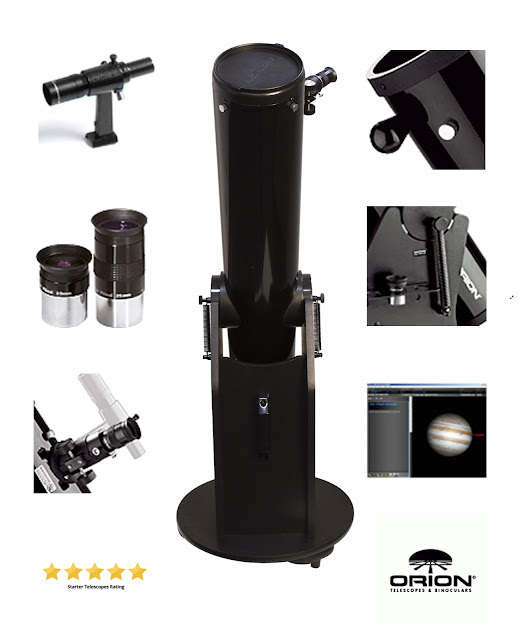 This telescope provides an incredible value considering it's quality and included accesories. 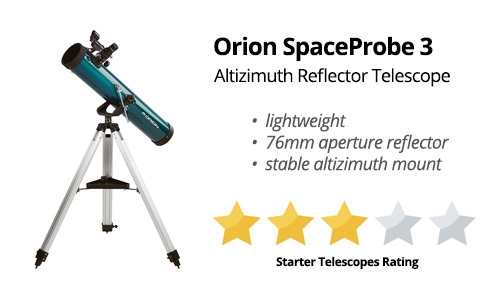 This is the highest rated beginner telescope on Starter Telescopes. 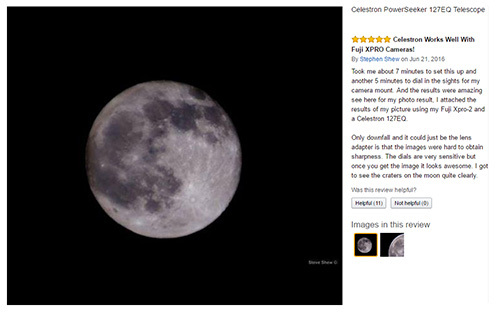 In this review we take a look at the popular Celestron PowerSeeker 127EQ Telescope. This Newtonian reflector is a popular choice for beginners and is a top seller on Amazon. 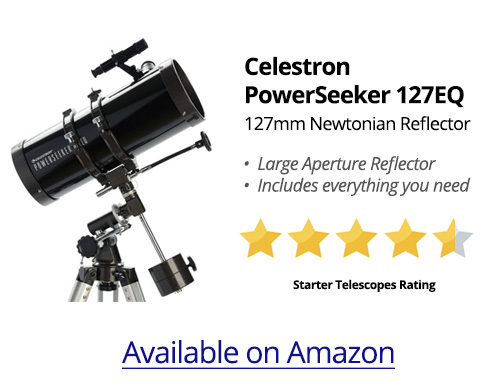 Celestron has been building quality telescopes since the 1960's, and the PowerSeeker 127EQ is an affordable model for beginners. This telescope is the perfect way to discover the wonders of the Universe to the aspiring backyard astronomer. The PowerSeeker 127EQ was designed to give beginner telescope users the perfect combination of quality, features and value. This telescope is easy to setup and requires no tools for assembly. 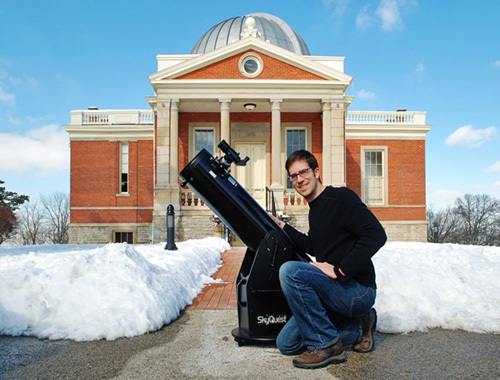 This telescope has enough aperture for breathtaking views of the moon and planets. View the cloud bands on Jupiter, Saturn's rings, and take a good long look at the wispy glow of the Orion Nebula. 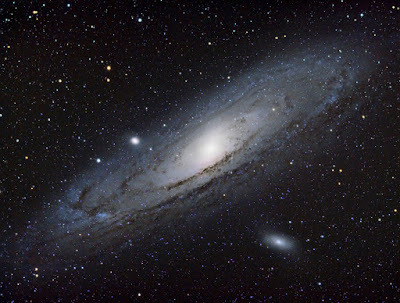 The Andromeda galaxy is unmistakable through the included 20mm eyepiece, as you contemplate the thought of life on other solar systems and galaxies. The Celestron PowerSeeker 127EQ includes 2 eyepieces and a 3X barlow lens. 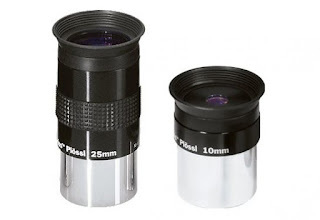 The 20mm eyepiece is great for wide field views of star clusters and a full view of the moon. The 4mm eyepiece is reserved for a close up of the moon craters or the rings of Saturn. 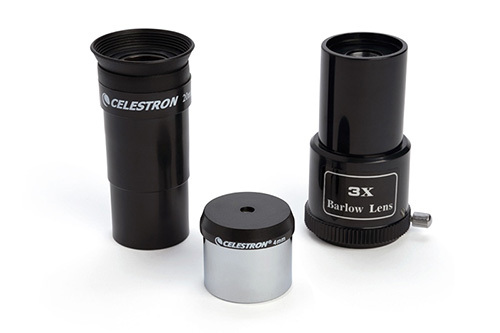 Use the 3X barlow lens to triple the magnification in either eyepiece. The 3X barlow lens will drastically increase the magnification, but the objects will also become much dimmer and less sharp. This is true of all telescopes and eyepieces. It also includes a 5 x 24 finderscope. This is a smaller telescope that is used to find and locate objects. Once you have found your target in the finderscope, you simply have a look through the telescope eyepiece for a closer look. This finderscope can be easily calibrated in a under a minute. The PowerSeeker series was designed for beginners, so that they have a positive first experience observing the night sky. 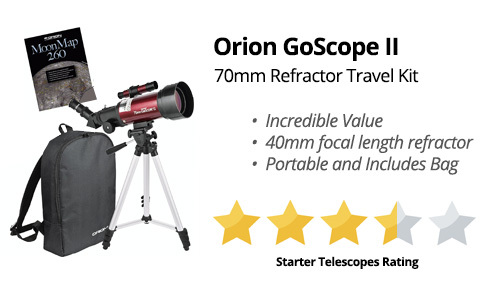 These telescopes are very easy to setup so that you can be outside enjoying the stars in your backyard in a flash. Clear nights don't happen all the time, so you want to make sure that when the clouds part, you are ready! 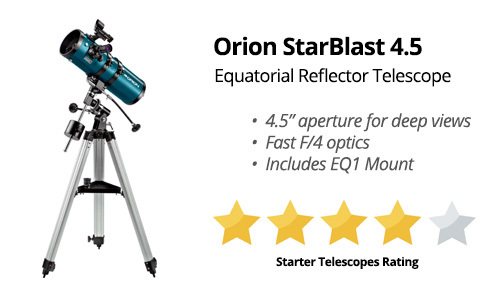 The inlcuded equatorial mounts is sturdy, and perfect for effortlessly tracking objects in the night sky. The collapsible tripod makes transporting and storing the entire rig in and out of the house a breeze. The Newtonian reflector tube is held securely in the provided tube rings. The Celestron PowerSeeker 127EQ was built to last by a trusted manufacturer. 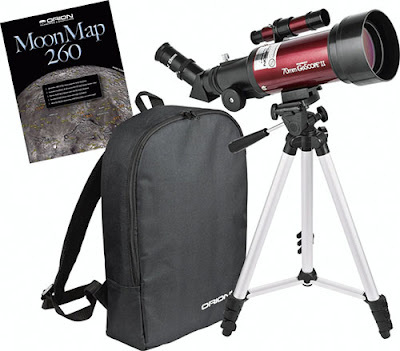 Beginners looking for their first telescope will be very pleased with the quality and value in this telescope package. Backyard astronomers looking to get into astrophotography can also dabble in the hobby by taking pictures of the moon through the 20mm eyepiece. The smooth tracking controls on the sturdy mount are what make this telescope stand above the rest in terms of quality at this price point. This telescope and tripod are light weight, so aspiring astronomers young and old will be able to handle the load. With the included eyepieces, barlow lens, tripod, finderscope and equatorial mount, the Celestron PowerSeeker 127EQ telescope packages lets you start enjoying the night sky from your own backyard right away. Light pollution is a major issue when trying to observe the night sky. Street lights, cars and exterior home lighting all contributes to light pollution in the city. What this means for backyard astronomers is a washed out sky with very few observable stars. Light pollution is also bad for your health, it affects more than just astronomy. Less than 100 years ago, everyone on Earth could look up at the night sky and see a stunning sight of the Milky Way. With today's light pollution, children across the globe will never experience the night sky in this way where they live. The widespread use of artificial light not only affects our view of the night sky, but also our environment and our health. Also known as luminous pollution, light pollution is the excessive artificial light created by humans on Earth. This light is misdirected and obtrusive in nature because it serves no useful purpose. Artificial lighting should be concentrated towards the ground and not up into space. It is the alteration of natural light levels in the outdoor environment. Light pollution is a major side effect of urbanization, and is linked to several negative health issues including insomnia. Not only that, but it affects the lives of animals on Earth as well. This sprawling epidemic of light disrupts ecosystems. 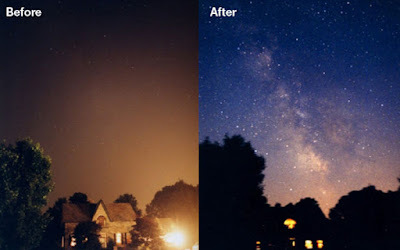 Light pollution spoils aesthetic environments. According to the World Atlas of Artifical Night Sky Brightness, 80% of the world population lives under skyglow. For observers in the city, light pollution competes with starlight in the night sky. It interferes with astronomical observatories that were built before such levels of light pollution existed. 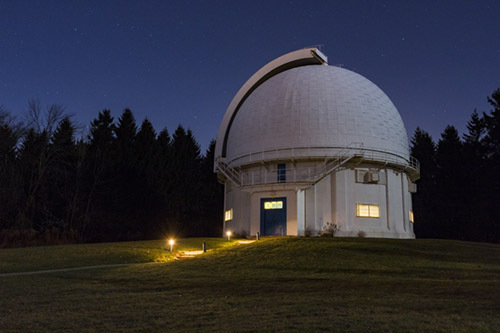 The David Dunlap observatory in Richmond Hill, Ontario is an example of an observatory surrounded in light pollution. The excessive light produced by growing cities intrudes on areas that would otherwise have a natural low-light setting. The intense glow from major cities like Toronto, Ontario can be seen for 100 miles in every direction. What contributes to Light Pollution? Light pollution is the most severe in highly industrialized areas. Densely populated cities such as Toronto are the worst offenders. Luckily, a global dark-sky movement has emerged, with concerned individuals campaigning to reduce light pollution worldwide. Do your part to reduce light pollution by avoided uncessary artifical lighting at your home or business. Together we can move towards a future with less wasted energy and reclaim our connection with the night sky above. The night sky is amazing. The countless stars, deep-sky objects, comets and planets are waiting for you to observe them in real-time. 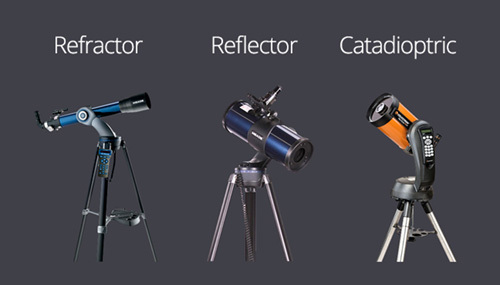 In this post we discuss how to choose your first telescope. Starting your astronomy adventure off right is important. 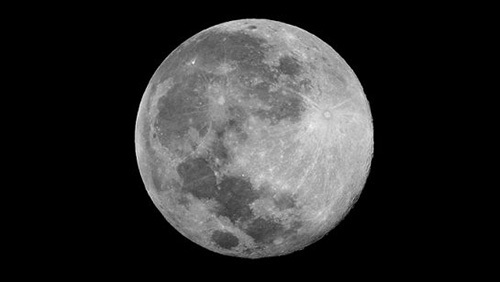 A lack-luster view of the moon through a shaky department store telescope may spoil your interest in the beginning. The wonders of the Universe are waiting for you to discover them, you just need the right tool. The different types of optical telescope designs each have their own strengths and weaknesses. For example, a Newtonian reflector offers the largest aperture at an affordable price. This is why a large Dobsonian telescope is great option for beginners wishing to see more deep-sky objects. 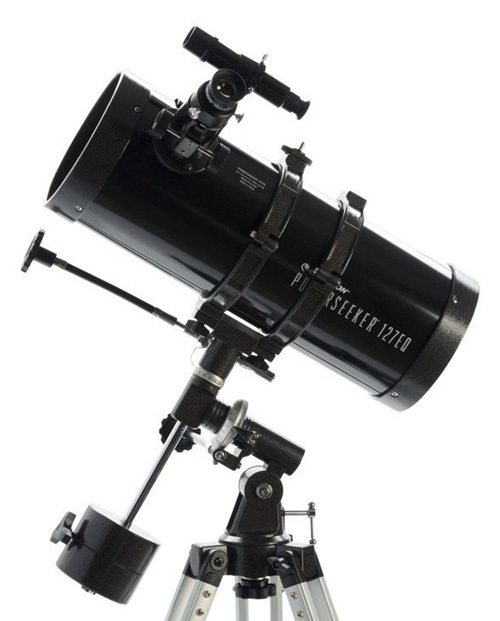 Newtonian Reflectors, such as the Orion 8" Dobsonian like the one pictured below need to be collimated on a regular basis. Collimation is the act of aligning the mirrors in the tube correctly so that your image appears as sharp as possible. It's easy to learn, once you get the hang of it. Refractors come in different forms, with the same basic optical layout. The very first telescopes, including the one Galileo used, was a refractor. Refractors with an Achromatic objective are much more affordable than their Apochromatic cousins. 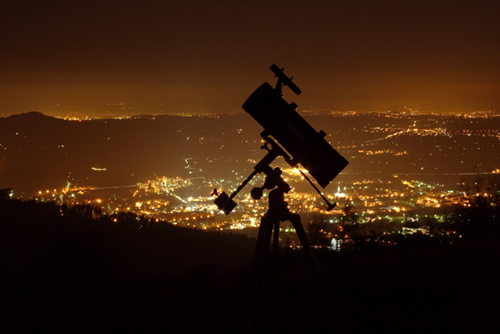 Apochramtic telescopes excel in astrophotography applications. Schmidt-Cassegrains have become a very popular choice for astronomy observers. These telescopes have a versatile and compact design, only about twice as long as their aperture. They are also well suited for computerized mounts and astrophotography applications. "The best telescope is the one that gets used the most". It takes time to develop your observing skills to fully enjoy astronomy with your telescope. Remember, observing means long periods of time outside in the dark! Not everyone is used to the conditions required to view dim objects such as nebulae and galaxies. All unnecessary forms of light must be avoided to preserve your night vision. Astrophotography is the art of capturing images of the night sky with a digital camera. 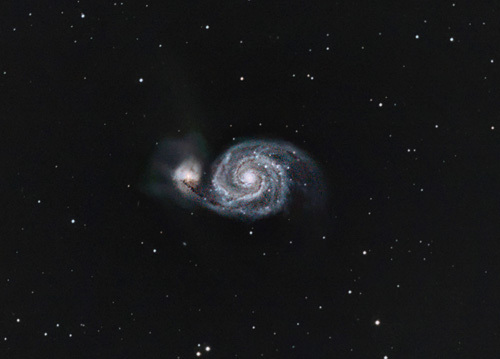 Astrophotographers will connect their DSLR camera into the eyepiece of a telescope and use it as if it were a super telephoto lens. This is how images of deep-sky objects are captured by regular people from their own backyards. 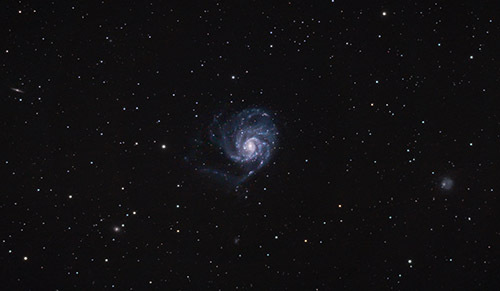 Most beginner telescopes will be capable of certain types of astrophotography. The most common type photographing the moon and bright planets through the eyepiece. 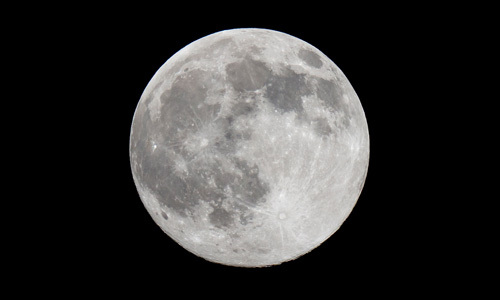 The moon is the perfect target for beginner astrophotography enthusiasts. Once you master the art of capturing a sharp image of the moon, you can progress your skills further by attempting to capture the Planets Jupiter and Mars.